One of the other jobs in the vines at the moment is looking out for vines which have too many grapes on them and cutting off the excess. 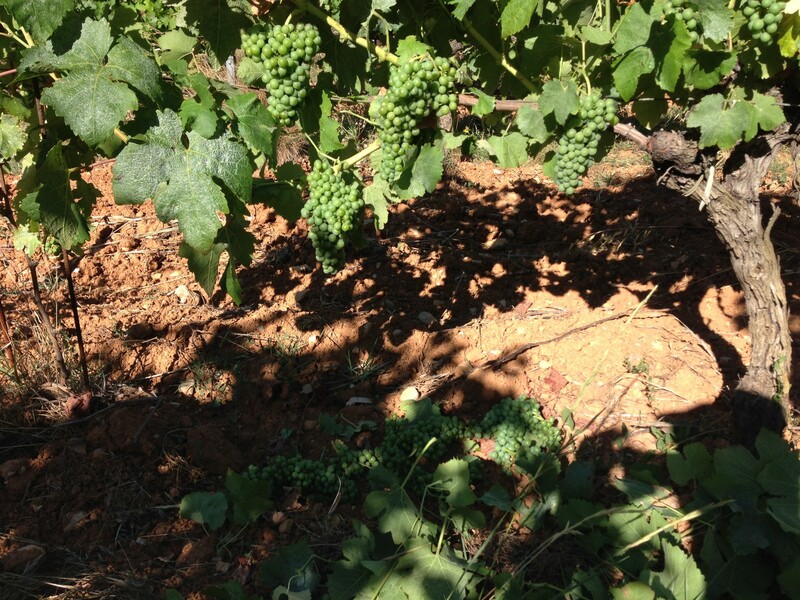 This ensures that the vine doesn’t have too many grapes and that it can properly ripen the grapes which it has. It always seems a terrible shame, as here, to leave the ground covered in grapes, but it’s better for the vine and for the quality of the wine!